'Tainted' is the second album from one-time White Willow singer Trude Eidtang and her friends, and it follows on from their splendid debut '7summers7winters' which attracted a fair amount of notice back in 2013 due to its much-varied nature. 'Tainted' sees the band continue in a similar vein with a very tidy album indeed. Album opener 'Prelude (Meine Ruh Ist Hin) is essentially just voice with a church bell and really does set the tone for what is to come – it's all quite compelling and inviting. 'Soothing Stitches' takes on an Electro type beat with a gorgeous vocal performance over the top, it's all very sparse sounding but this is done really well. 'Interlude (Ist Mir Das Grab)', one of the shorter tracks, could have been recorded in a church and I can imagine the likes of Rick Wakeman playing this type of thing. The majority of the album mixes electronics with more contemporary sounds and reminds me of Pure Reason Revolution (remember them anyone?) at times, and it's always underpinned with the excellent vocals of Eidtang whose voice conveys a real sense of emotion. Particular highlights are the atmospheric, hypnotic 'Out Of Spaces' and 'Wonderful Warning', but the best is left until last with the sprawling 'Postlude (Wo Ich Ihn Nicht Hab)' which demonstrates the band's versatility really well and ends as the album started with a solitary church bell. Apparently, this is a concept album of sorts, telling the tale of Faust, but I didn't really get into that too much. However, what I did get was a collection of well thought through songs which were succinctly executed, with a production that compliments the music perfectly and one that brings out the best in everyone involved. This is Progressive Rock in the loosest possible sense, it's an album that integrates different styles of music, but one with a Progressive ethos at its very heart. 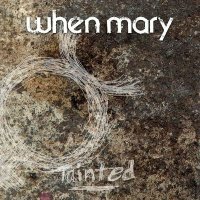 'Tainted' is definitely an album to track down if you like your Prog Rock thoughtful and eclectic.